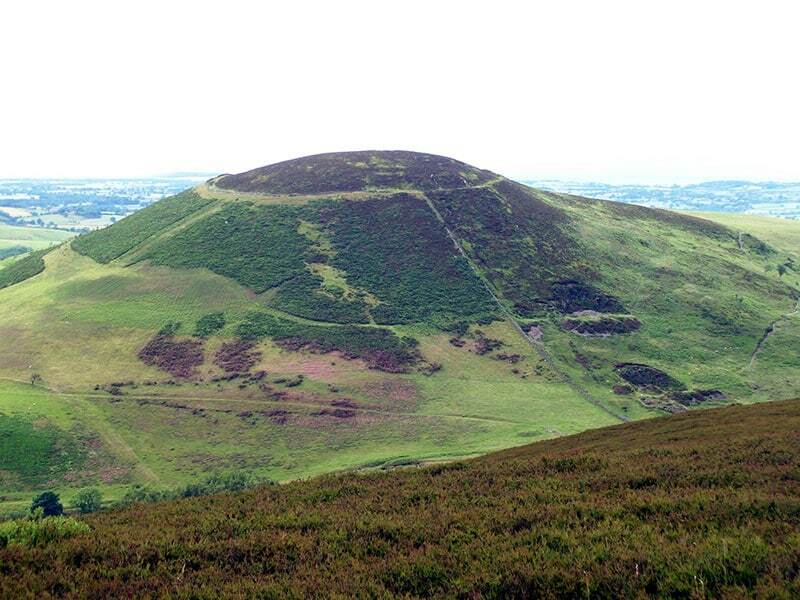 Moel Arthur is a historic Iron Age fort built in the Vale Of Clwyd. The fort was chosen for its defensive properties – situated on a steep hill, affording great views around the surrounding countryside. These defensive properties also help to make Moel Arthur an excellent road climb for cyclists, although the climb doesn’t go to the top of unique hill, you still have a hard climb up towards the peak. Starting from the small village of Y Groes Fawr, the climb is short and steep, and packs in an impressive 219m of height gain over 1.4 miles. , It’s unrelenting gradient makes it a real test. With a KOM time of 8.05, it is not a short, sharp shock you can just power over, you need a good pacing to keep going all the way to the top. The climb is steepest at over 0.5 miles, where it reaches 20%, after this real difficult section, it eases off a little for the last half a mile, but the climb averages a good 10% for the one and half miles of the climb.